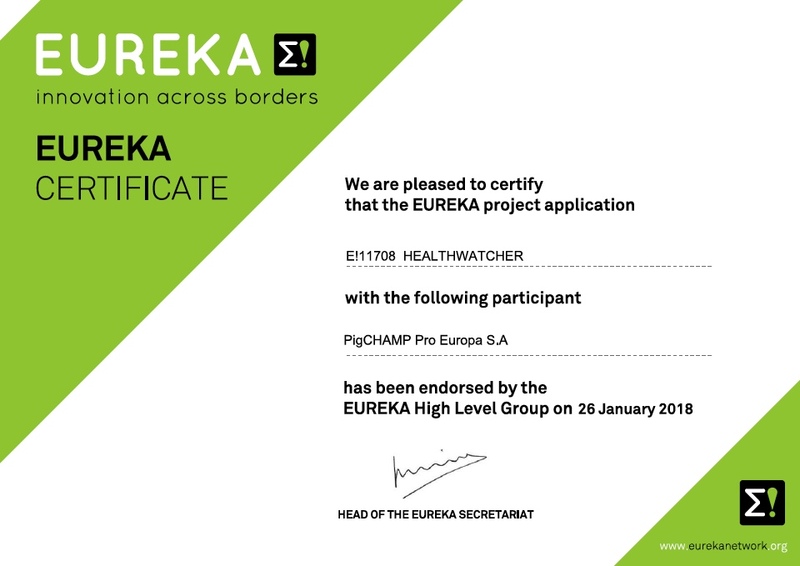 The HEALTHWATCHER project developed by PigCHAMP in collaboration with the Canadian company BeSeen BeSafe, has obtained the EUREKA Certificate, endorsed by the EUREKA High Level Group on 26-JAN-2018. The objective of this project, for the development and evaluation of a proactive biosecurity system for pig farms based on geoprocessing and big data technology (HEALTHWATCHER), is to minimize the incidence of diseases in intensive pig farms, their profitability and reducing the use of antibiotics for their control. Last July, this project also obtained the Eureka quality label.